hiring truck drivers | Platinum Drivers Inc.
Are you looking to hire truck drivers for your company? Finding great drivers is vital, though it is often easier said than done. If you can avoid these common mistakes, you’re sure to bring on the best people. While it can be good to hire someone you know if he or she is a trained professional, avoid hiring someone just because he or she is a friend or family member. If you do hire someone you know, make sure he or she is still subject to the same vetting process that any other potential employee would undergo. Hiring outside of your comfort zone also opens you up to more diverse candidates, which can be great for your business. The trucking industry continues to change as drivers retire and technology advances, so hiring people who bring something new to the table can help your company flourish in a changing environment. Not sure how to find those diverse candidates? 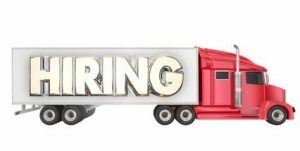 There are many online resources that you can turn to, including truck driver staffing agencies. In this digital age, there’s nothing you can’t do or find online, so don’t forget to Google your company every once in a while to see what people are saying! Candidates are likely to do the same when considering employment at your company, so it’s important that they find positive reviews about what it’s like to work for you. Besides treating your employees well, showing pride and engagement in the trucking community can be a great way to maintain a stellar reputation. Promoting positive achievements and developments in the field or planning events for National Truck Driver Appreciate Week are just a few ideas to get you started! If you’re looking to hire truck drivers, let Platinum Drivers to do the work for you! With over thirty years of experience in the business, we are committed to finding the best drivers out there. Contact us today!